" Since one of the latest updates (early-to-mid-March 2018), my music – that always played before with no issues – keeps stopping, and/or acting like it’s playing but with no sound. When I reboot my phone, I usually can play 10 or 20 songs, but then it starts up again – finishes a song, then just stops. Some songs I hit play, and it acts like it’s moving to active play mode but then doesn’t play and goes back to pause mode. It’s making me insane – the app is unusable like this. And it’s not always the same songs either – a song will play at this time, but the same song won’t play next time. What’s wrong? Seems like Apple needs to release another update with fixes." I believe many Apple users have encountered iPhone stops playing music, which is very vexed. How to fix iPhone stops playing music? 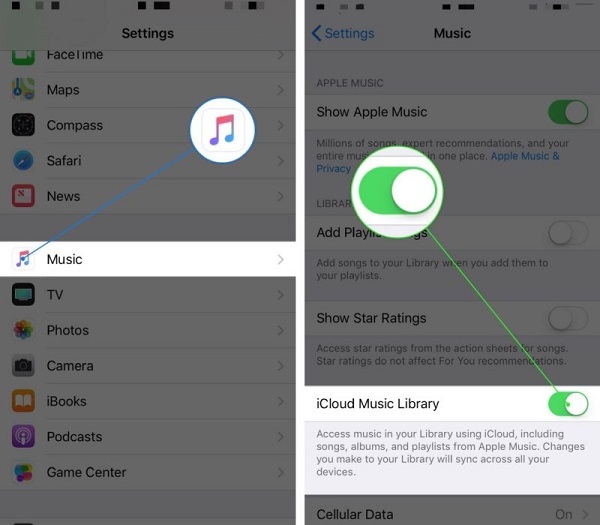 Today’s guide will teach you how to fix iPhone music stops playing randomly. Let’s take a look. Part 1: What Causes "iPhone Stops Playing Music"
Part 2: How to Fix "iPhone Music Stops Playing"
It is usually quite annoying that your iPhone stops playing music, which greatly affects your music appreciation experience. What cause iPhone music stops playing randomly? Here are the reasons. 1. Your music app is not compatible with your iPhone system. Sometimes, the music app will suddenly be incompatible with our phone, which easily causes iPhone 6 music stops playing when locked. 2. Your iPhone system gets wrong. Many problems like iPhone music stop playing randomly are caused by the ill-functional iOS system. 3. Sync issue with iTunes occurs. Sometimes, even there is music on your iTunes library, but they don’t show on your iPhone music app. Or sometimes, the music files are corrupted. All these issues will cause iPhone 6 stops playing music. The above introduces some reasons cause iPhone 6 stops playing music randomly. Now, it is time for us to learn how to fix iPhone 6 music stops playing. Step 1 Press the Home button two times. Step 2 Locate the music app page and swipe up. Step 3 Now on your iPhone, open the music app to check if you fix your iPhone 4s stops playing music. If you still find it can’t solve iPhone 4s stops playing music, you can delete the music app and re-install it by pressing the app longer and tapping on "x" icon. Another way to fix iPhone 7 music stops playing is update iOS system on iPhone. 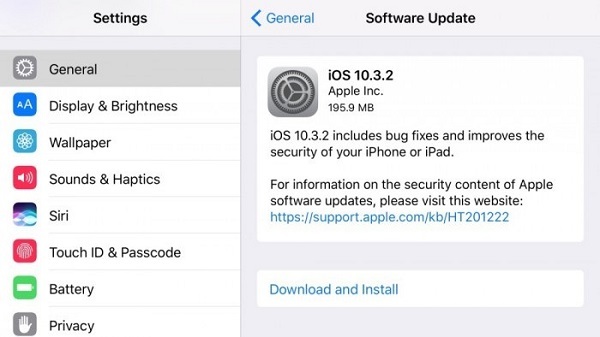 Here are steps to update iOS system. Step 1 On your iPhone, go to Settings. Step 2 Scroll down and tap on "General". Step 3 Choose "Select software update > Download and Install". Step 4 Enter your password and agree to the condition to continue to update iOS system. After that, check if your music playing normally. Step 1 Make sure you have the latest iTunes version. Step 2 Go to "File > Add to Library" and choose folders to add songs. 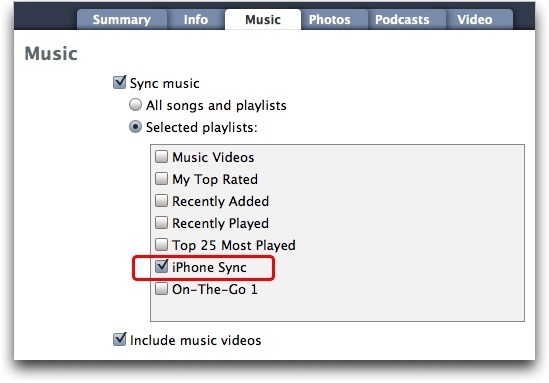 Step 3 Sync songs with your iPhone. 1. Convert song format. iPhone supports song in the format of AIFF, WAV, AAX, AA, MP3, MP3 VBR, ALAC, AAC, Protected AAC, HE-AAC. 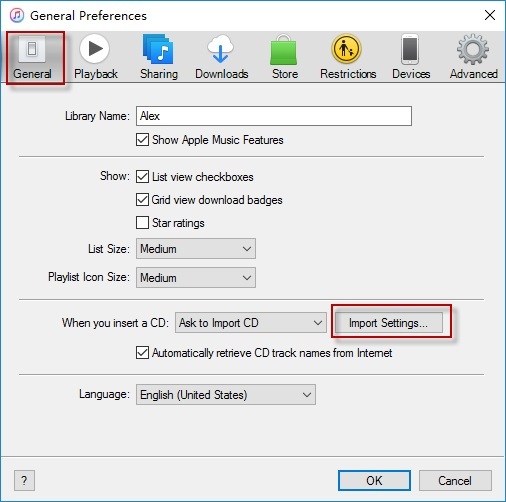 You can go to computer "iTunes > Edit > Preferences > General > Import Settings" and choose required song format. 2. To ensure you can play iPhone music without stopping, you can also reset your device by going to "Settings > General > Reset > Erase all content and settings" and choose "Confirm" when a confirmation dialogue pops out. 3. 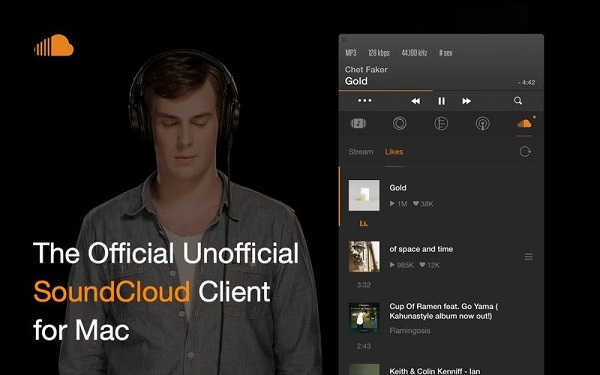 Active iCloud Music Library. Go to "Settings > Music" and toggle on "iCloud Music Library". Other than iPhone embedded music apps, I would like to recommend another three music playing apps. 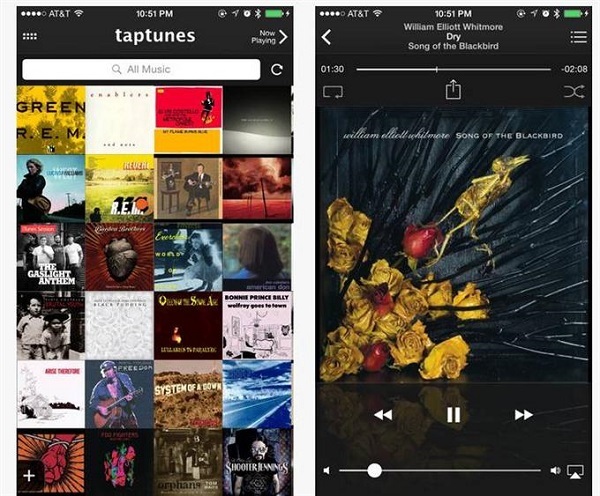 Developed by David Blundell, TapTunes offers users a large library of different genres of songs. 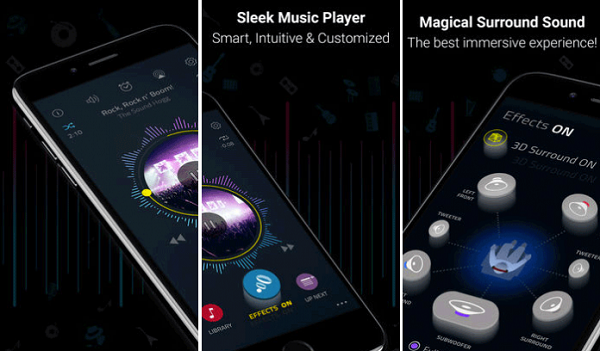 With more than 25 settings, the app allows you to enjoy customized music listening experience. It enables you to seamless to switch between audiobooks, podcasts, and music as you like. Moreover, you can share beloved songs with your friends via Facebook, Twitter, message, and email. With modern and splendid user interface design, Boom attracts users at first sight. It is a small and tailored music app for any song zealots. The app is abundant in various themes to enrich your music world. It is featured by audio intensity control and patent-pending 3D Virtual Surround Audio Engine. Vox enjoys over 30,000 radio stations featured by genres and is equipped with multiple advanced audio functions like HOG mode. It is said Vox is the largest database of world’s music. If you want to have a music player app on your iPhone, you can definitely choose Vox Music Player. With super sleek and modern interface design, Leawo iTransfer is designed to transfer various types of files like notes, songs, music, ringtones, apps and so on between different iOS devices, iTunes, Windows, and Macs. If you are a green hand in the IT field, don’t worry, for Leawo iTransfer is really a piece of cake to learn how-to-do. Once you open it, you quickly get the hang of it. What’s more, Leawo iTransfer enjoys multiple functions like creating or renaming playlists or deleting unwanted files and documents, etc. It has paid and trial version. You can decide to pay after you try its trial version. I believe you will love this amazing software after you try. Now let me teach you how to transfer music to iPhone for on-the-go listening via Leawo iTransfer. Download and install Leawo iTransfer from the website: www.leawo.org/itransfer. Open Leawo iTransfer and insert iPhone to the computer via USB cable. 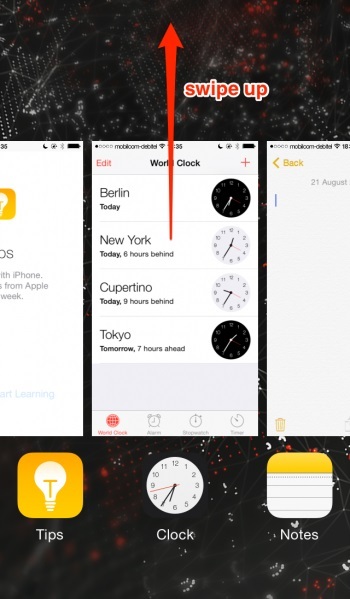 It will automatically recognize iPhone and indicate iPhone library in the left sidebar. In the right interface, you can see iPhone information like iPhone type, capability, version, serial number, and jailbroken situation. 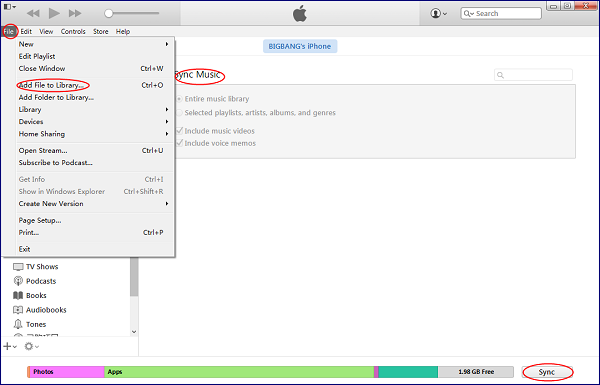 Go to "iPhone > LIBRARY > Music" and you will see available songs on your iPhone. Click on "Add > Add File or Add Folder" in the top right corner. In the pop-up window, you can select music from computer folders. It will immediately upload songs to your iPhone. 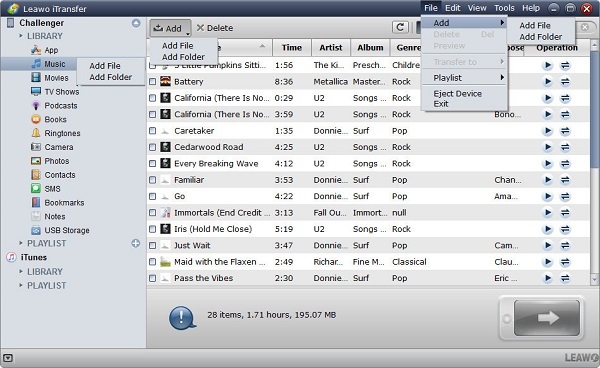 The alternative to transfer music from computer to iPhone is iTunes, a well-known iOS device file management tool. As an awesome music listening app, iTunes is also helpful in transferring music, movies, books, apps and the like between iPhone, iPad, iPod, and computers. 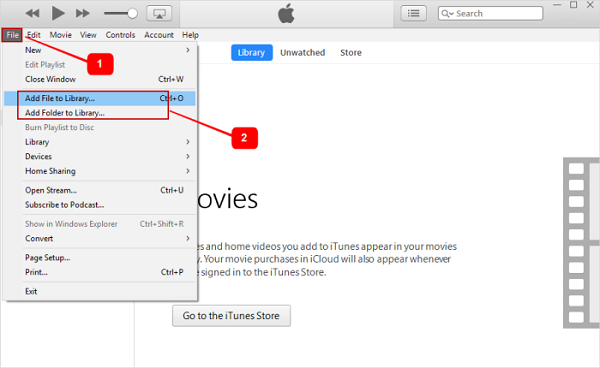 Okay, follow these steps to see how to transfer music to iPhone for on-the-go listening via iTunes. 1. To transfer music to iPhone for on-the-go listening via iTunes, you need first to connect iPhone to the computer. Launch the latest iTunes on your computer. 2. Click the iPhone icon in the top left corner. Go to "Summary", then disable "Automatically sync when this iPhone is connected" and check "Manually manage music and videos". After that, click on "Apply" at bottom right corner. In this way, you can manually handle your media files. 4. Now navigate to "Settings > Music" and check "Sync Music" in the right interface. You can choose to sync "Entire music library" or "Selected playlists, artists, albums and genres". Afterwards, click on "Sync" in the bottom right corner. Note: The original playlist will be replaced on your iPhone by new one. iTunes doesn’t allow you to select a specific song to transfer. The above is how to fix iPhone stops playing music. I really hope this article can do you a little favor when you have similar confusion. Also, if you don’t know how to transfer files between computers and iPhone, you can give Leawo iTransfer a shot. I believe, it will lead you to an easier and more efficient world.